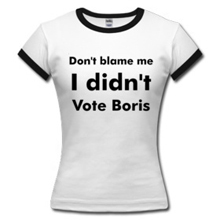 Those of you that use the London Overground will be thinking there's an error in the title to this post. You'll be correct as Haggerston is one of the newest stations on the London Overground opening in April 2010. In fact there's never been a Tube station called Haggerston as even the older station was part of the North London Line. 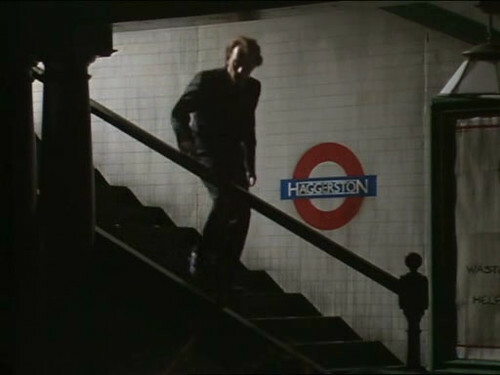 But eagle eyed Jon Justice noticed that abandoned "Haggerston Tube" made an appearance on TV. 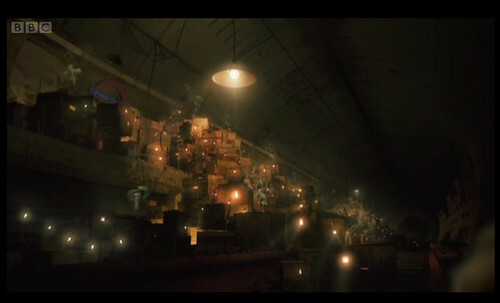 Jon said "In one episode he has a secret meeting in an abandoned Tube station. 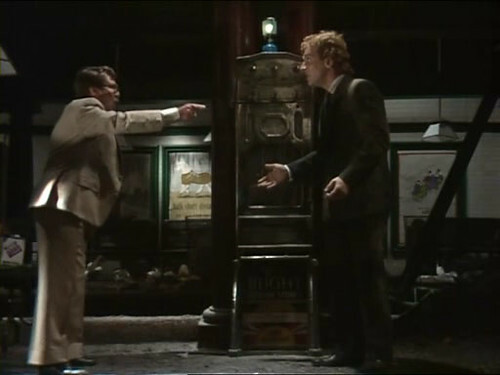 Rather than setting it in an existing station, the show invented the fictional station of Haggerston and built a set. There's quite a surprising level of attention to detail." Jon's right, there is a good level of attention to detail. They've put up some old London Underground posters on the walls - I can just about make out one by Fougasse from the 1930's on the far right. In fact the whole look of the "abandoned Tube" definitely has a feel of the London Underground stations of the 1930s designed by Charles Holden. I went to the fount of all knowledge on London Underground stations in film and TV - Nick Cooper's website and discovered that the episode was originally aired in October 1987 and is called "Waste Not, Want Not". 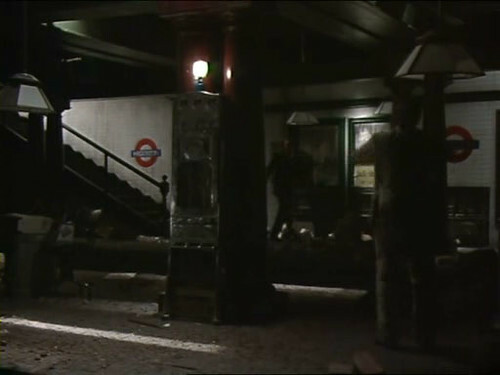 Disused Tube stations are popular settings for TV and films, and usually film makers have found it easier to build a set rather than film at actual abandoned London Underground stations. This may change in the future if Ajit Chambers of Old London Underground's plans to re-open a number of "ghost" Tube stations come to fruition. There's currently a £25 million finance deal on offer to buy Brompton Road station for tours and I know that Ajit has been approached by a number of film & music video companies when they heard of his plans to re-open more stations.